Don’t even think about leaving the house if you’re among the recently deceased! It’s nothing but yellow sand for as far as the eye can see. And for every minute you set foot in Saturn, time back with the living will speed on by, so why not bring the Netherworld closer to home? 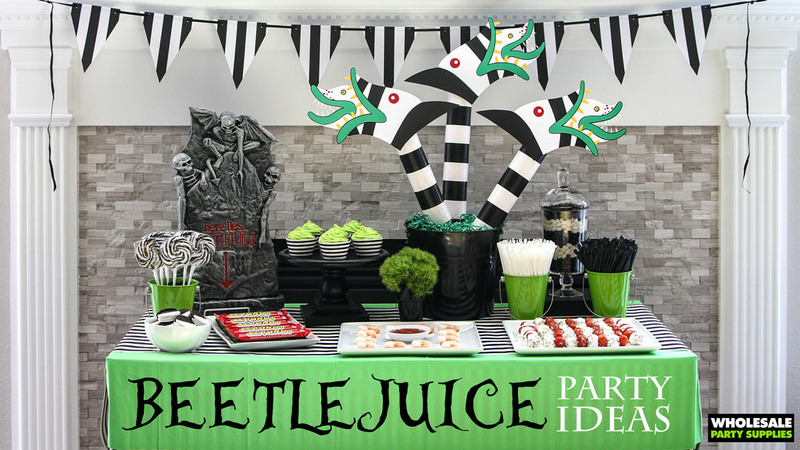 Your guests, living or not, can safely marvel at your DIY Sandworm centerpiece when you throw a Beetlejuice party this Halloween! Simple ingredients make construction a cinch and these creatures from the limbo-like world of Saturn won’t leave your guests all yellow. Follow along with the step by step instructions below. 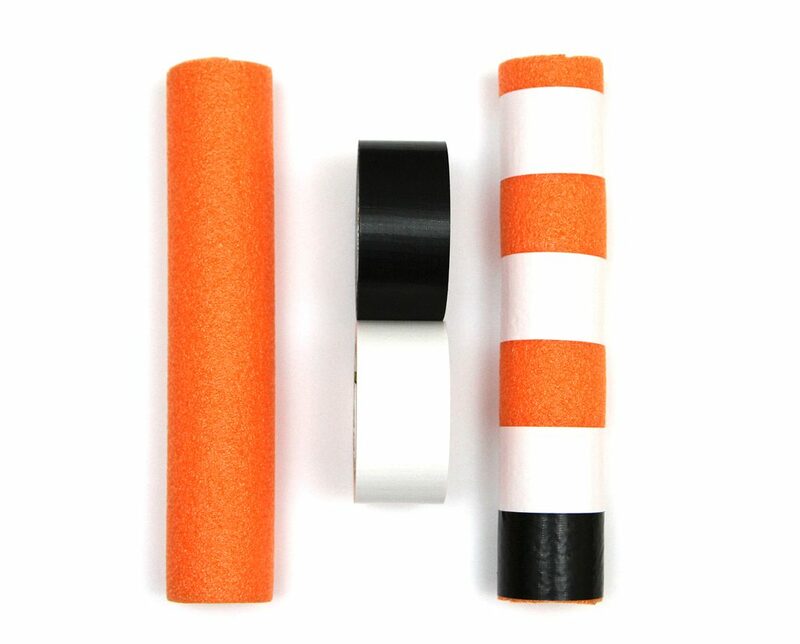 Cover pool noodles with Duct tape. 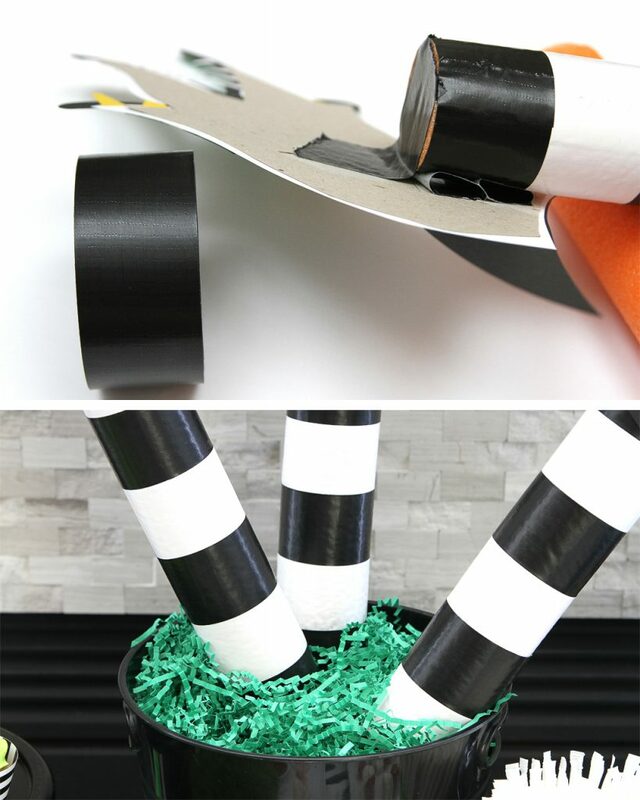 Start with the white tape then wrap with the black tape to cover both white edges. 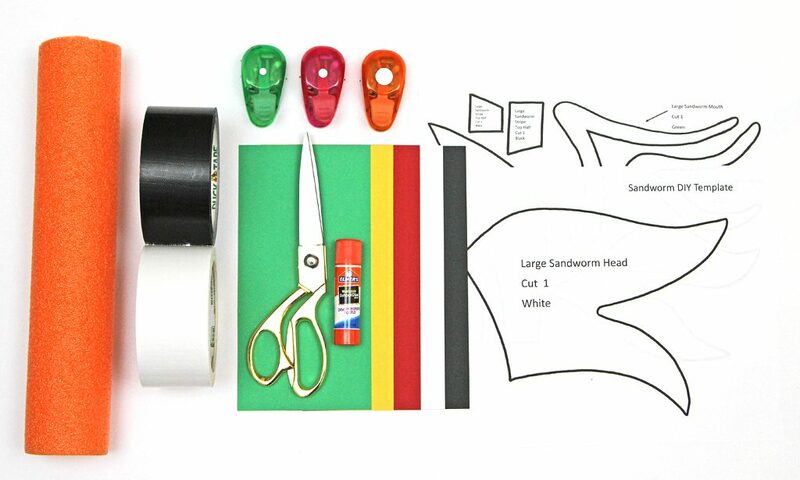 Use the template to cut pieces out of cardstock. Glue mouthpieces to black cardstock then trim around leaving a slight border. 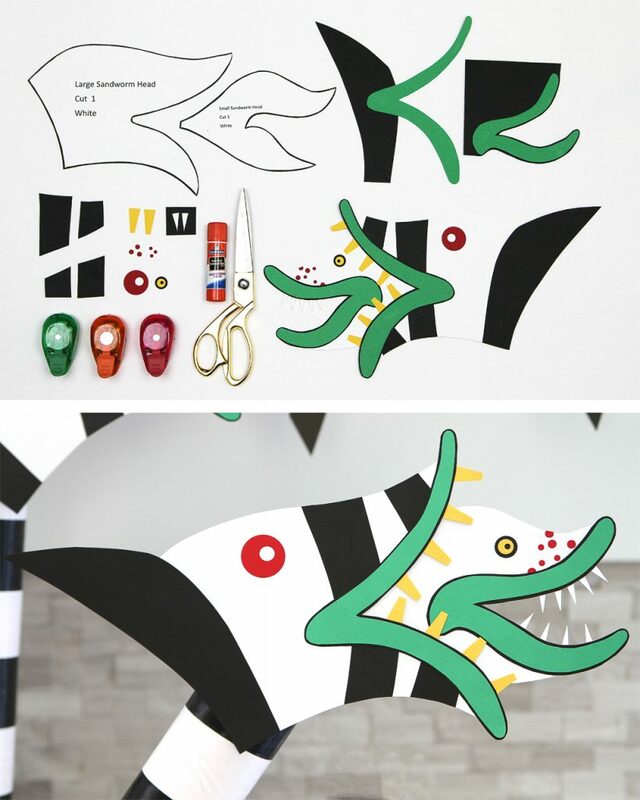 Assemble sandworm heads using a picture as a guide. Hand cut teeth and use circle punches to create eyes and “freckles”. TIP: If you don’t have access to circle punches, hand cut or draw these details. 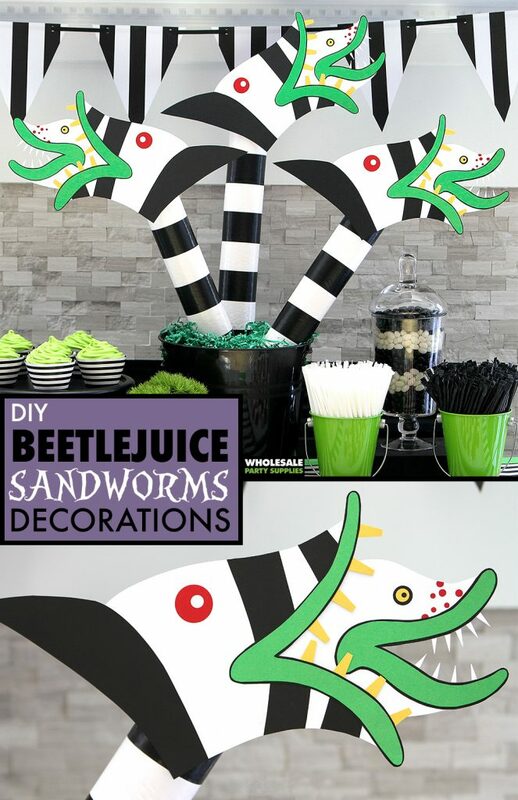 If desired, back sandworms with chipboard for extra stability. 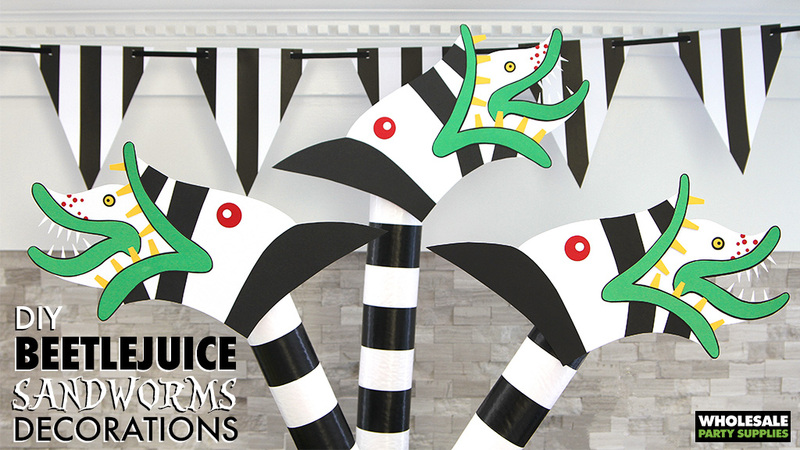 Attach sandworms to pool noodles using duct tape. Insert noodles into a bucket and fill with shred. TIP: To keep noodles from shifting, use duct tape to secure them to bucket sides. 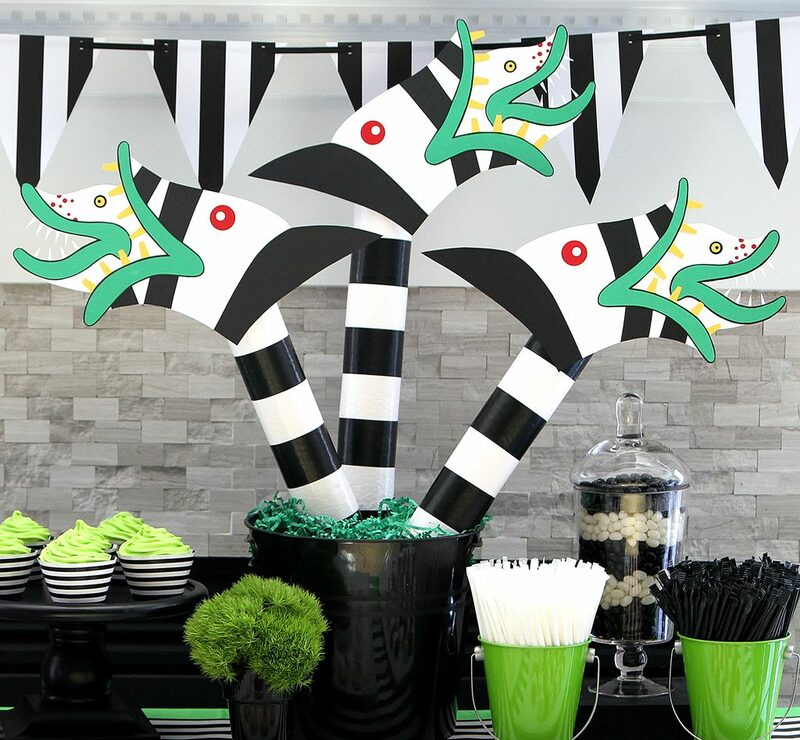 This sandworm centerpiece is complete without a trip to Saturn.